As expected, Congressman Mike Pence has made his intentions regarding his future a bit more clear within hours of winning re-election. Yesterday, Pence stepped down from his House GOP Conference position in preparation for a run for either Governor or President. At WSP, we believe he is gearing up for a race for Governor. Pence spent such a large amount of time in Indiana stumping for candidates this fall that would have been wasted opportunities to travel to key primary states if he was going to run for President. 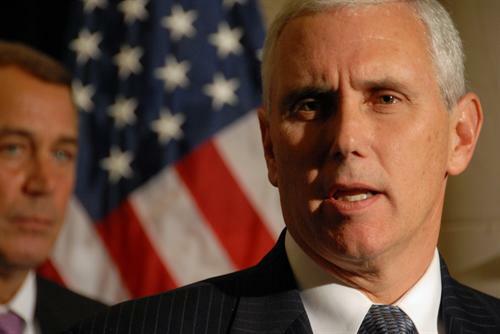 Pence has also made some moves with regard to staff that signal a run for Governor. Lt. Governor Becky Skillman has given all the signals that she plans to seek the top spot and rumor has it she is beginning to build her campaign infrastructure. There will be many county chairmen across the state that will have a hard time not being supportive of the LG but the donor class appears to be largely backing Pence. We’ll be keeping an eye on this race. One thing we know is that it promises to get ugly. The two camps seem to have particular disdain for the opposition and that is only likely to get worse as things get moving.